Edgartown native honored with Walter Cronkite award. 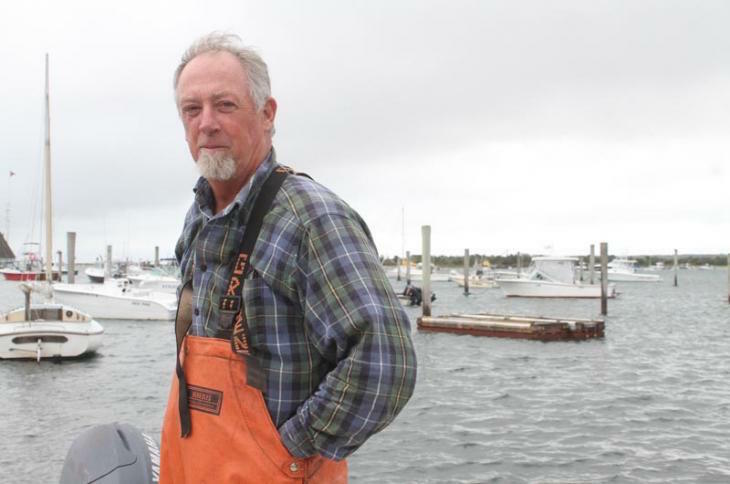 Steve Ewing, dock builder, conservationist and Edgartown poet laureate is this year’s recipient of the Walter Cronkite award from Sail Martha’s Vineyard. The award honors someone who lives up to Mr. Cronkite’s legacy of conservation and maritime tradition. Speaking to the Gazette by phone Friday, Mr. Ewing said receiving the award the previous evening at Sail MV’s annual Seafood Buffet and Auction fund raising gala was an honor and on a fun night. At the dinner Thursday he read one of his poems, which he said seemed to fit the occasion. It is about the boat Vanity, moored among many other boats just behind the event at Packer Wharf in Vineyard Haven. Now a classic sailing vessel, Mr. Ewing has known the boat in various roles for various owners throughout his life. Mr. Ewing accepted the Cronkite Award with characteristic humor and humility. “I’m just one person in the whole thing,” he said. “I really wanted to honor Cronkite, too.” Mr. Ewing cited Mr. Cronkite’s support in founding the Edgartown Harbor Association, which he credited with taking the lead in pollution control in the harbor many years ago. Mr. Ewing also offered thanks to five families who have contributed to Vineyard Haven Harbor’s legacy as a working harbor. He named the Packers, owner of the Packer Companies; the Hales, owners of the Martha’s Vineyard Shipyard; the DeSorceys, waterfront business owners along the harbor; the Douglas family, owners of the Black Dog companies and the schooners Shenandoah and Alabama; as well as Ernie Boch Jr., who recently announced plans to build a public park on the waterfront. Congratulations Steve ! No one could do the job better. Congratulations Steve ! A well deserved honor bestowed upon one of the nicest guys I know. Walter's smile shines upon you. Yes, great picture, great story! Stevie!! What a great man you are !! Congratulations and thank you for everything you do for us ! Congratulations Cousin!!! What fun! And an honor.